Novita’s mobility and seating team fabricate custom and complex equipment to suit the needs of people living with disability. Working with you and your family, we aim to tailor wheelchairs, walkers, standing frames, posture chairs and beds to ensure they are comfortable, supportive and functional for everyday activities. Did you know there are many types of materials that we can fabricate seating from? Exploring the range that best suits your body size and shape can ensure the most supportive and protective seating for you. Our team at Novitatech includes a physiotherapists, occupational therapists, rehabilitation engineers and seating technicians. Following a thorough assessment of your or your child’s needs, you are provided with a recommendation on the most suitable equipment item to suit their requirements. 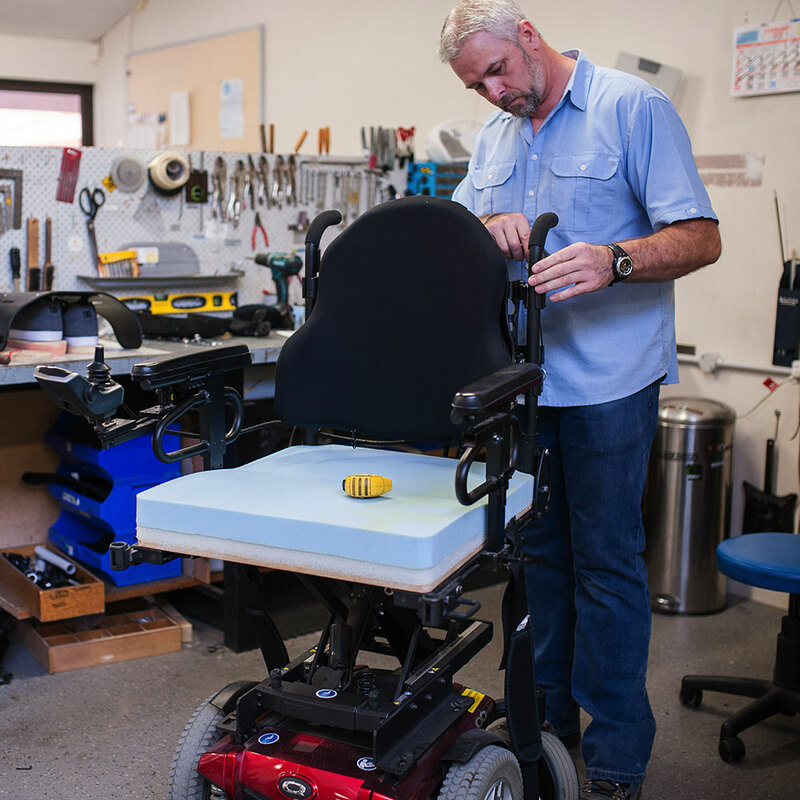 At our onsite workshops, our therapists and technicians will then work to modify and customise seating and accessories for wheelchairs, walking frames, standing frames, beds and posture chairs, as well as providing customised technical solutions for a wide variety of needs. For further information call 1300 668 482 or call Novitatech’s assisted technology team directly on 8243 8261. You can also email our Novitatech team at equipment@novita.org.au.